Today, more than ever, advanced technology and science play a leading role in how we conceptualize, design, build, and use the buildings we occupy. 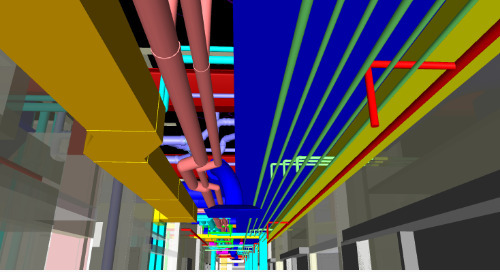 A perfect example is the ever-expanding role of Building Information Modeling (BIM) in every phase of a construction project, including the ongoing use and maintenance of the building once construction is finished. The construction industry today is doing incredible things, thanks to the combination of human imagination and mind-blowing technology. But, the central theme hasn’t changed. Continual improvement and increased efficiencies are still the forces pushing the construction industry forward. Specifically, the focus now needs to be ensuring projects are completed on time and on budget. The construction industry has long been plagued with wasted effort, materials, time, and money. 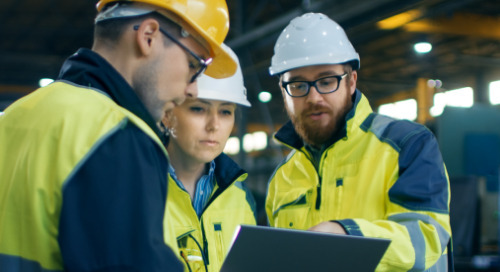 To ensure the future of construction is going to be even more impressive and exciting than what’s happening now, industry professionals need to focus on process improvement rather than just materials or technology improvement. The Constructible Process is not just a catchphrase or a buzzword. It’s a simple-yet-powerful new way to approach the entire construction workflow through the mastery of highly integrated, state-of-the-art technology at every phase of a project’s lifecycle. Watch the video below for a quick overview, then read on to learn more. 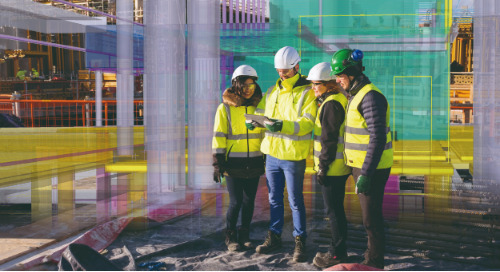 As BIM has evolved — along with its supporting technology — the 3D digital models at its heart have become increasingly robust. At this point, a state-of-the-art 3D model produced by skilled professionals across every phase of the construction workflow is bursting with construction data that can be referenced and even updated in real time in the field. In the past, plans and blueprints created in the office could only serve as a starting point for practitioners in the fabrication shop or on the job site. And, more often than not, the plans for various onsite activities were created and executed within individual silos, usually using data that was never shared during the planning stages. As a result, workers on site would often run into problems and inefficiencies that can now be foreseen and avoided because everyone’s plans are aligned with a federated set of plans. 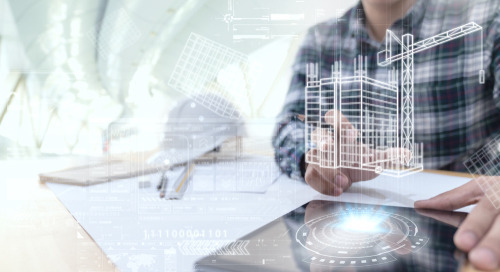 Understandably, the connections and integrations that make this unified, data-rich workflow possible are key to the Constructible process. All the data in the world is not going to help anyone if it can’t be quickly and easily shared, discussed, understood, and integrated into every phase of the construction workflow. 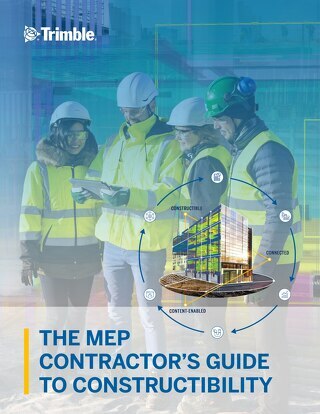 Without a fully connected suite of tools at their fingertips, architects and designers can’t effectively communicate their ideas to the estimators and project managers; detailers can’t effectively process jobs through fabrication; contractors and project managers can’t appropriately coordinate the building work onsite; facility managers can’t take full advantage of constructible content to get the most out of their new buildings. That’s why it’s so vital for everyone involved in a project to take full advantage of the many incredible tools available and work hard to ensure continual collaboration as close to real-time as possible. 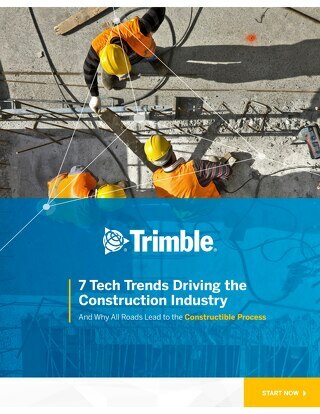 Stay ahead of the competition – find out how the Constructible Process will transform the industry by 2020 – download the ebook now. 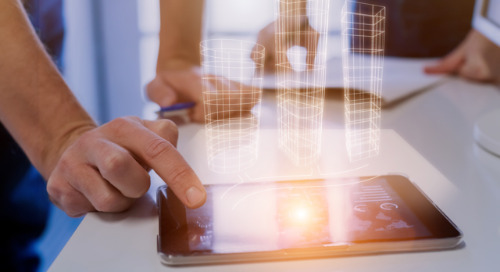 Constructible content is any digital asset that provides the technical information and geometric parameters necessary to fully define a physical object such as a building component, length of pipe, or fabricated housing for machinery. The intrinsic value of constructible content is the fact that it means the same thing to everyone who has access to it. It’s not open to interpretation, so there’s no confusion as to what it is, what it’s for, where it goes, and how it needs to be installed. 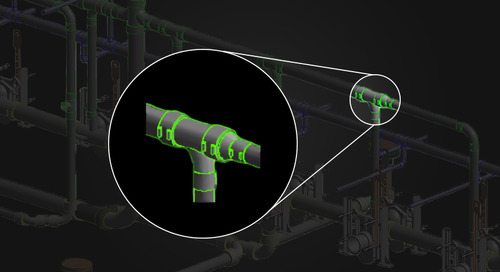 Beyond supplying a universal 3D model of each component and its place in the overall plans, constructible content is rich with metadata — data about the data — such as cost, weight, expected performance, sourcing, installation instructions, and more. It’s this rich depth of information that really gives the 3D model its power. 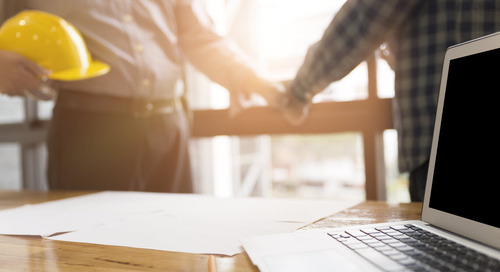 When various pieces of constructible content are connected as described above, it allows for experts at every phase of a construction project to easily collaborate to turn an architect’s initial idea into a completed structure. Constructible content is the digital building block of every project following the Constructible Process. The value of the process itself and the finished product that gets built is dependant on the accuracy and reliability of the content. To ensure high-quality, accurate, and efficient collaboration, it’s best to be able to rely on a robust, curated, repeatable library of detail-rich data that all parties can freely access and work with. 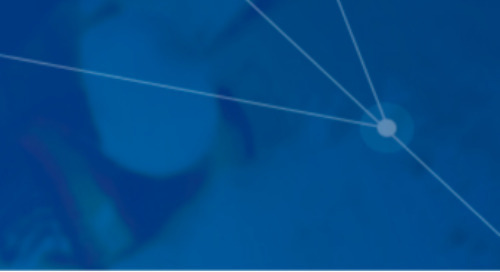 The Trimble MEP Constructible Content library is an example of just such a resource. Constructible adjective (kən- ˈstrək- tə- bəl) - Real-time collaboration from the field to the office and back, using living and customizable data so accurate, you can build the digital design you promised, on time and on budget. 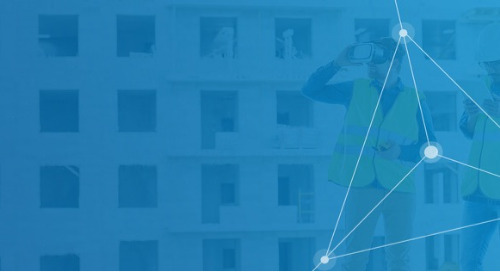 The third C, Constructible, goes far beyond Building Information Modeling (BIM) and the 3D digital models that you’re already using. And it’s more than just having a 3D version of what used to be 2D drawings. Constructible models ensure truly intelligent workflows. In the office, the ability to openly share constructible models is required so that different trades can coordinate properly. If the information is not accurate, this is a waste of time. Likewise, if the ability to share is limited or stakeholders aren’t able to isolate only the areas of the model they care about, coordination is sub-optimal. In the field, high LOD (Level of Detail) constructible models are fabrication, layout and installation. If the information shared is not constructible, projects must rely on each trade to recreate models— just so they can determine how to build. 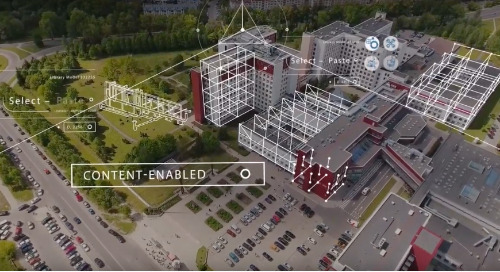 As the cornerstone of the Constructible Process, this is where data-rich content and technological connections combine to create the ultimate collaborative building environment. A constructible model streamlines every phase of construction, from estimating and fabrication to erection and post-construction facility management. 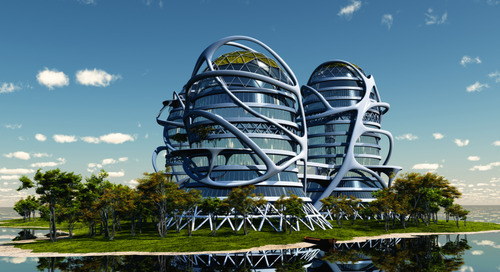 The Constructible Process truly is the future of building: an enhancement in how structures are built that perfectly complements all our advancements in what we’re building. We will be diving deeper into all three components of The Trimble Constructible Process in future articles, so stay tuned. 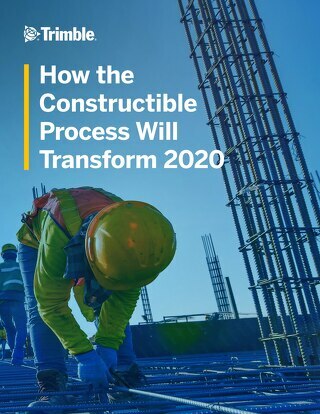 If you’d like to explore further right now, you can download our ebook, How the Constructible Process Will Transform 2020.